This week we will focus on essential elements of good storytelling, taking time to examine how personal stories become living legacies and reflections on lessons learned to find the 'author's voice'. Sharing your story will come alive once you select the tools to use to create your digital story. This session will be one of exploration and analysis of story, tools and purpose. Web 2.0 tools can activate and engage classroom learning. There is a rich and varied set of resources for teachers and students interested in developing, creating, and producing digital media. Keep digital citizenship elements in mind. 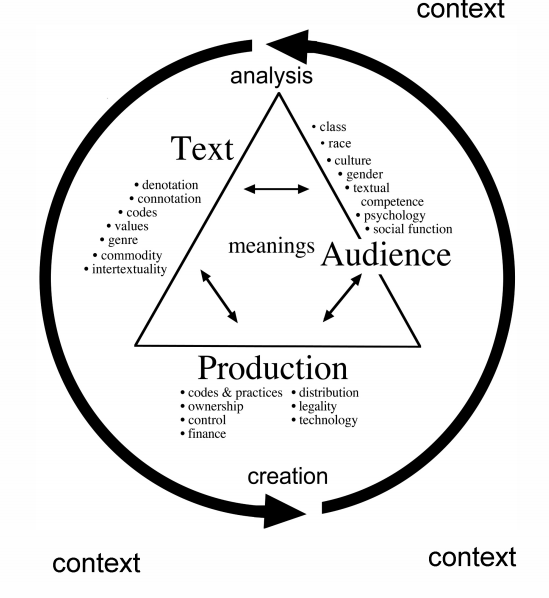 While keeping the media triangle in mind, the tools you select for any media project need to consider the text, audience, production and the context. Start by defining these elements, analyzing them from a critical viewpoint and then begin to make decisions about your digital story production based on your decisions. Keep in mind that the process is as important as the product. 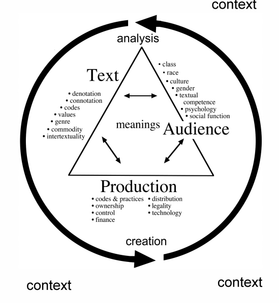 Throughout the storytelling process, analysis and creation is cyclic and recursive. Changes are expected, resulting from this ongoing analysis/creation cycle. Bernajean Porter emphasizes that "Good storytelling lets our students be deeply heard and honored. And those are the stories that need to be told!" Porter, p. 16. During this session, you will explore the stories you are living, that are unfolding, and that need to be told. You will look critically at tools to tell your story. Silvia Rosenthal Tolisano presents links between digital storytelling and higher order thinking skills, national standards for 21st century skills and ISTE-NETS-S. 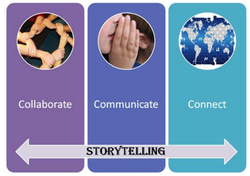 These provide the reason for applying digital storytelling to teaching practices. The 'how' is also provided in the document - linking to tools for audio, image, text and video production. The process for applying each tool is dependent on the story being told. You've started with a storymap, a plan and outline for the sequence and elements for your story. From the storymap, you will need to create a storyboard that will integrate the audio, visual and camera movements. As you storymap and storyboard, review some of the information from earlier in this course about image, sound, moving media and how decisions you make will impact the story you tell. Consider bias, perspective and cultural awareness when planning your story. Jason Ohler provides insights on the differences between creating the map (a sketch of the story line) and the story 'table' (a plan for the media elements that will weave together to tell the story). Through a partnership between the Ministry of Education and Ontario teachers, there exists a rich set of technology tools along with a process for acquiring, distributing and managing these resources for educators, students and parents. The Ontario Software Acquisition Program Advisory Committe (OSAPAC) maintains a current listing of software titles, links for local access and support, and details about software, curriculum connections and resources for schools. There are many FREE digital storytelling software resources available in Ontario schools. Link to these software sites for more information and resources. ​Collect information in this shared document. Sign up for a FREE account to extend and learn! As you begin to create and plan your digital story, think about how you would use the tools, processes, and ideas in your teaching practice. 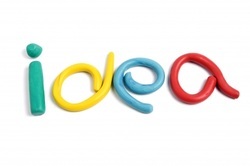 What are some big ideas that come to mind as you investigate the process and tools? How can your story become a model for others? ​Where are the issues and considerations you will need to make if you bring this experience into your classroom? As you begin to explore your digital story ideas, you will apply digital and web 2.0 tools to the creation of your story map and your storyboard.